This all week has been pretty crazy. I knew I would be very busy at work and that I'll have to go early to the lab too, but what I didn't expect is that the train to commute would let me down so many times. Usually trains are super reliable in Japan, but once in a while there are incidents, and usually they happen all at the same moment. 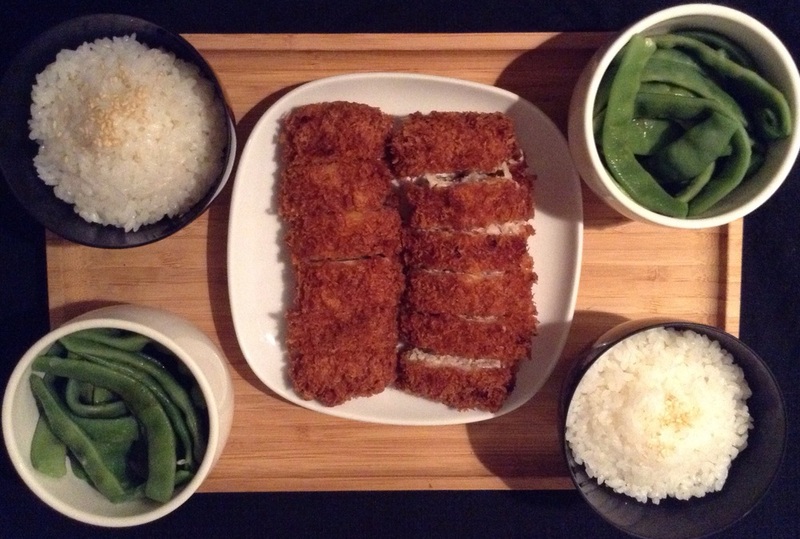 Spending more time to commute then usual I didn't have so much time left to spend in my kitchen and still needed to indulged with some simple food to keep : rice with sesame seeds, and greens with soya sauce, and since I knew that wouldn't be enough for my husband, I stopped by Saboten and added some pork filet katsu to the menu.